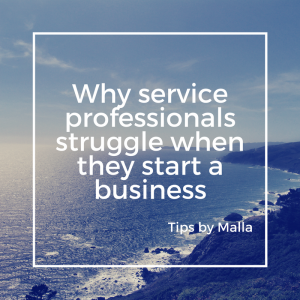 Over the years, I’ve encountered many people who want to start a service business. Rather than working any longer for “The Man”, they opt to hang up their own shingle. No more office politics. No unfair promotions. Just the projects that they are enjoy. And checks that they don’t have to share! Yessssssssssss!!! And for many, the client “wait” isn’t long. Friends and family are happy to oblige during the first few months. They are celebrating and happy to get quality services at a rock bottom rate. But the results are ……crickets. Alot of proposals. Alot of “that’s too expensive”. Alot of “If I had money”. How is this going to save me time? How is this going to save me money? You need to convince people who don’t want to spend money why your service is a MUST. Not a “nice thing to have”. Not a “maybe next month”. Tell them what problem you solve. And why you – and only you – are the one to solve it. They were all former employees who had high levels of expertise. Solid samples. Praise from their former employers. Graduated from top schools. Worked for name brand companies. But they were missing the link that perks the ears of a future client. The hook that gets someone to see why you. So we started exploring their stories. The experiences that they had in the past that demonstrated what made them different. The examples where they were honored for their work and achievements. The recommendations that showed that they were at the top of their game. And here is how their pitches shifted. From ” I offer accounting services” to”I help businesses earn more profit”. The group switched and focused on the problems of their clients. They focused less on their experience – which is a hard thing to do when you have 10+ years in your industry. That’s the key to getting their initial attention. These are not skills that most services professionals possess. And I’d like to tell you in my best informercial voice that “In 5 Easy Steps, You Can Go From Zero to 6 Figures”. But it’s not that simple. But take the steps. Keep taking small steps consistently. Reach out and get a coach, mentor, or other advisor to work with you. There will be a learning curve. But it’s one that can be conquered. You didn’t know everything on your first day of work and look how well you navigated that terrain. So challenge yourself to find the best resources that can support you along the journey. I believe in you. And I believe in your ideas. Keep doing the work and you’ll reach the next level!